You’ve had a wonderful vacation in Italy and at the end of your trip you suddenly realize that you need to bring back a little something for the neighbor who took in your newspaper and watered the plants, the friend who gave you a ride to the airport, your cleaning person, your hairdresser and the teenager who fed your fish. The list goes on and on. Special Fall Season Discounts, Up to 25% Off! 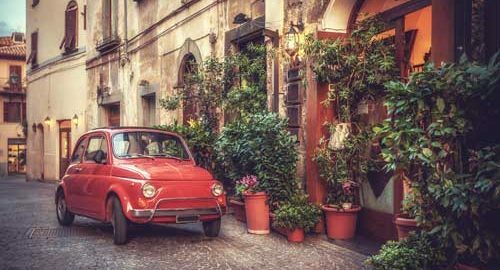 Enjoy great rates for last minute travel to Rome, Florence or Tuscany from now through mid-December. Book two Italy locations with us for additional savings. Discounts range from 10% to 25% off. See the discount details on the Italy Perfect Sale page. Valid on new reservations made from October 5th. 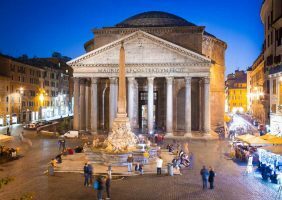 One of Rome’s special pleasures is strolling through the city at night when locals and visitors alike enjoy the many riches that Rome has to offer: wine bars, feasting on Roman cuisine and gazing on iconic monuments and fountains. Rome is optimally walkable as you wander from one beautiful piazza to the next to find either a burbling fountain or a monument artistically illuminated for your delight.